Performance data collection is executed by Sql Server agent jobs and therefore the SQL Server components i.e. database and jobs must be installed on each monitored SQL instance. The PowerBI Dashboard will be run on the client PC in the free Power BI Desktop. 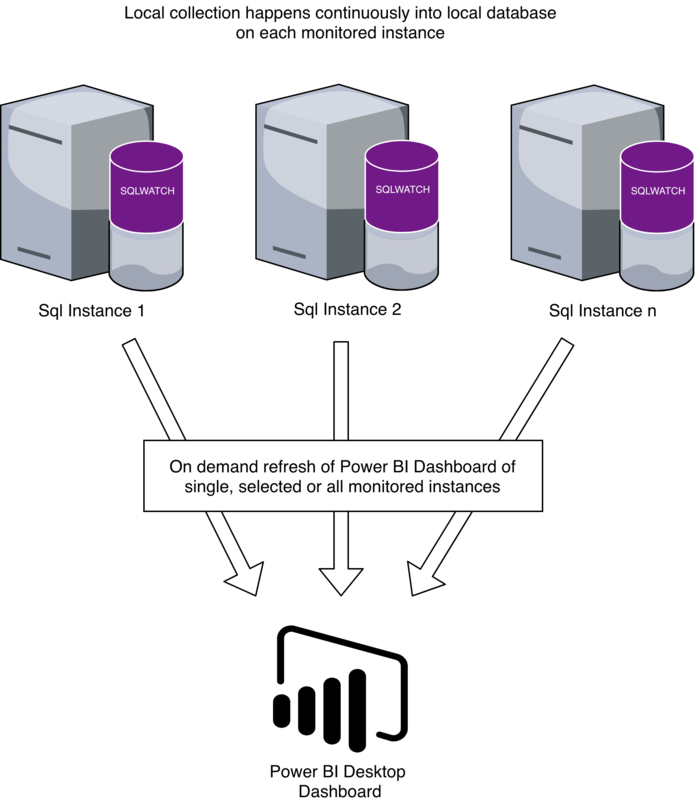 There is NO need or requirement to run Power BI on the SQL Server itself. Power BI will connect to the SQLWATCH database and download performance data for analysis.